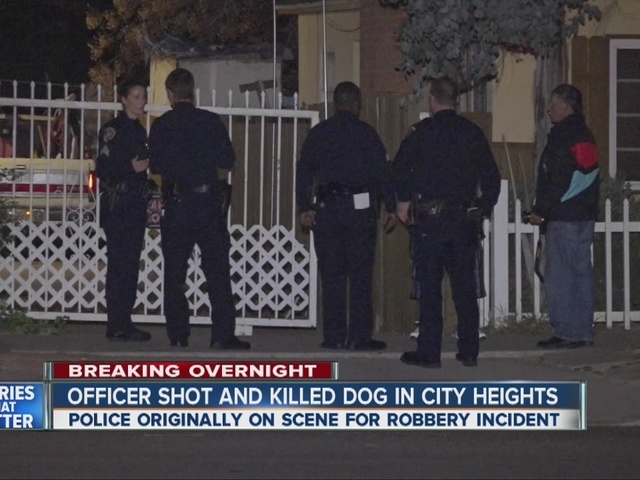 SAN DIEGO – A San Diego police officer shot and killed a neighbor's dog early Monday morning while investigating claims that a man was beaten and robbed of his truck in City Heights. According to San Diego police, a man contacted police sometime before 1 a.m. and claimed that he had been attacked by a group of men. The victim told police they swiped his keys and used them to steal his pickup truck. San Diego police responded to the victim’s home in the 4200 block of Thorn Street, where he shares a home with a married couple. He resides in the back part of the home, and they live in the front. At some point, an officer allegedly went and knocked on the door of the couple to see if they had seen anything. The officer was caught off guard by their dog, Grizzly, who was inside a locked gate in the front patio. 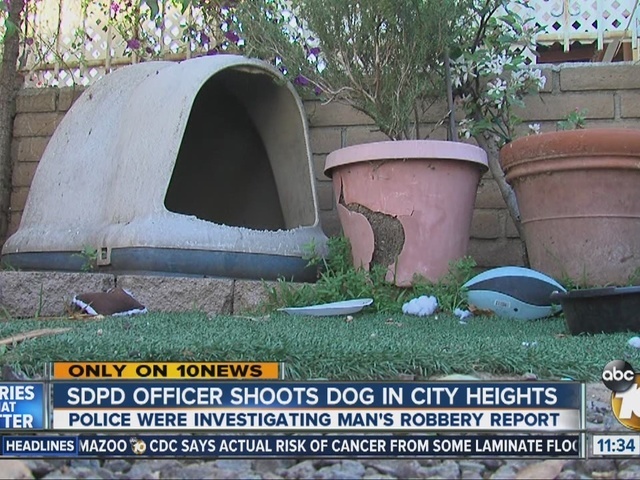 The officer fired several shots at Grizzly, killing him. "The officer had been around that yard while they were investigating a crime, so it came as a total shock,” SDPD Lt. Christian Sharp said. “Unfortunately, when the gate locked behind the officer, it was a very small area by the porch, the officer had nowhere to go." Grizzly was an 80 to 90 pound Siberian Husky and pit bull mix. His owner, Socorro Ramirez, told 10News she was awoken by the gunshots. The robbery victim, who asked 10News not to reveal his identity, witnessed the shooting. "The dog was coming up behind the policeman to try to lick him, and the police got scared and shot the dog four or five times." The circumstances of the truck robbery and investigation were not immediately clear.